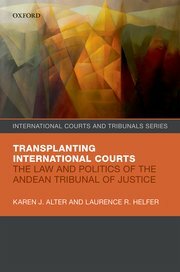 Reading Karen Alter and Larry Helfer’s Transplanting International Courts took me back, involuntarily, to graduate school, and more specifically to a moment of (in retrospect) misplaced outrage during my first-year International Relations Field Seminar. The professor in that seminar, Robert Keohane, was telling the assembled first-year students that, when it came time to write our dissertations, we should not select our cases for their inherent interest or normative importance. Instead, scholars should select cases for the “leverage” they provide in producing generalizable findings about international politics. As a student who had just fallen hard for the then-resurgent European Union, I insisted on the value of studying such a grand experiment, even if it was sui generis, since it affected the lives of 300 million European citizens. Real-world significance, I argued, beat analytic leverage as a criterion for case selection, any day. Alter and Helfer’s study of the Andean Tribunal of Justice (ATJ) demonstrates clearly why I was wrong, and Keohane right, about case selection. To be sure, both Alter and Helfer made the same initial choice in their careers that I did, studying powerful European courts that issued thousands of decisions and meaningfully impacted the lives of millions of European citizens. In their new book, however, Alter and Helfer pivot to the ATJ, a rather specialized international court (IC) that serves a small community of four developing states, issues more than 90 percent of its rulings in the narrow area of intellectual property (IP) law, and whose judges have produce a jurisprudence that is, by the authors’ own characterization, restrained, formalist, and deferential to the views of the Andean Pact’s member governments (15). And yet, Alter and Helfer, by focusing on the ATJ, do indeed gain leverage on a wide variety of important questions about international courts, including and especially the question of how legal transplants – in this case, one of the eleven regional courts modeled on the European Court of Justice (ECJ) – operate in practice. Taken together, they argue, the ECJ and ATJ represent a natural experiment, with similarly (though not identically) structured courts placed in very different political contexts, allowing the authors to assess the impact of contextual factors on their operation. Beyond the comparison with Europe, moreover, Alter and Helfer argue that, if we want to understand the workings of ICs outside the rule-of-law hothouse of Europe, we could do far worse than to study the ATJ, which has taken root in a challenging political and legal context that is characteristic of many of the ECJ’s copies around the world. The rewards of reading Alter and Helfer’s book, therefore, come not from learning about an esoteric island of IP law, but precisely from gaining leverage from the ECJ-ATJ comparison and drawing inferences about how ICs operate in challenging climates. In Isaiah Berlin’s canonical distinction between foxes (who know many things) and hedgehogs (who know one big thing), Alter and Helfer are foxes, and their study of the ATJ yields insights into a wide variety of questions. Nevertheless, there is a theoretical core to Transplanting International Courts, which I would describe as a liberal, contextual approach to ICs. This approach locates courts in their international and especially domestic contexts, and explores how ICs interact, not only with state governments (which Alter and Helfer believe have been overemphasized in previous scholarship), but also and especially with other supranational and domestic actors. Given the wide range of topics they address, any review of their book must be selective, and I select just three themes – interlocutors, context, and backlash – as the core value-added contributions of the volume over existing scholarship, including Alter’s and Helfer’s previous work. Perhaps the central focus of the liberal approach to international courts, which informs Helfer and Slaughter’s 1997 article on supranational adjudication, Alter’s 2001 book on the ECJ, and her 2014 book The New Terrain of International Law, is the relationships than an IC cultivates with its various supranational and subnational interlocutors, including regional secretariats, national courts, government agencies, individual litigants, and jurist advocacy networks. These “compliance partners,” it is argued, are fundamental to the success of any IC, and Transplanting International Courts continues this focus on interlocutors as the sine qua non of effective international adjudication. Strikingly, however, Alter and Helfer find that the usual-suspect interlocutors, namely national courts, were and are resistant to sending preliminary references to the ATJ, perceiving the Tribunal as a potential threat to their own position. In this context, the ATJ has fallen back on de facto partnerships with other interlocutors, including and especially national IP agencies, which the Tribunal strategically allowed to submit preliminary references. To the extent that the ATJ has succeeded in creating and sustaining an island of effective supranational IP jurisdiction, Alter and Helfer argue, that success can be attributed largely to the interlocutors who have activated and supported the Tribunal. Alter and Helfer’s liberal analysis, however, extends beyond their focus on courts’ ties to domestic interlocutors. Also present in Transplanting International Courts is a keen awareness of how differences in political and legal context can fundamentally shape the effectiveness of any IC. The importance of context is particularly salient in Chapter 8 of the book, “Nature or Nurture,” which argues that the differences between the activist, teleological jurisprudence of the ECJ and the more restrained and deferential decisions of the ATJ can be explained by the more propitious legal and political context of the EU, which “nurtured” the ECJ in a way that was at best loosely approximated for the ATJ in the issue-area of IP law. Indeed, Alter and Helfer concede in their conclusion that the success of the ATJ is only partial, and that a difficult context can frustrate even the choreographed actions of a strategic court. The “glass-half-full” account of the ATJ, they write, focuses on how the Tribunal secured a “toehold” in a narrow issue area (IP law) and with one set of interlocutors (domestic IP agencies), creating an island of effective international adjudication (264). “The glass-half-empty counterpoint,” by contrast, “is reflected in the ATJ’s inability to mobilize a jurist advocacy movement… and in the limited impacts the Tribunal has had on Andean law beyond the field of IP” (264). In this context of reduced expectations, the famously formalist and deferential jurisprudence of the ATJ appears not as a failure of nerve, but as a “politically astute” effort to bring along reluctant interlocutors while avoiding triggering a backlash from national governments (273). This claim is as debatable as it is fascinating. In their contributions to this forum, Alexandra Huneeus and James Gathii identify other regional courts operating in developing country contexts – the Inter-American Court of Human Rights, and the ECOWAS Court, respectively – that have engaged in activist, expansive, law-making jurisprudence, imposing human rights obligations on member states that clearly did not anticipate or welcome them. Implicit in Alter and Helfer’s endorsement of the more deferential ATJ approach, I would argue, is a view that it is preferable for an IC to proceed cautiously, securing buy-in from key interlocutors, rather than adopt a more expansive jurisprudence that boldly establishes new legal principles at the risk of both noncompliance and member-state backlash. This raises a third and final point about Alter and Helfer’s book, namely their newfound appreciation of the threat of member-state backlash against ICs. 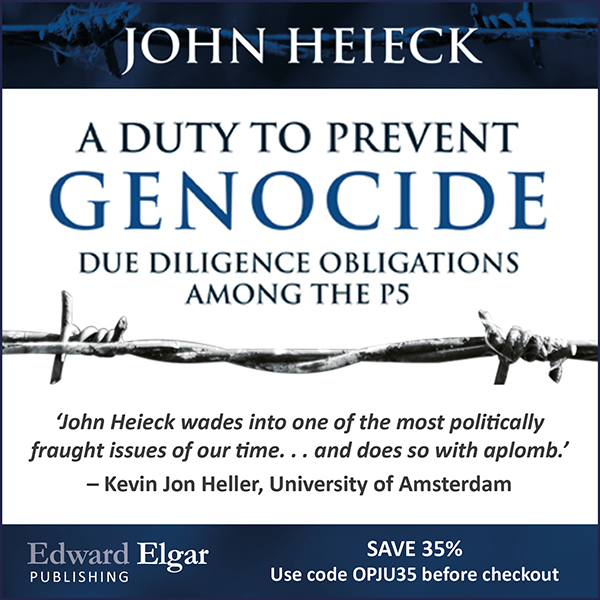 In Chapter 10 of the book, Helfer concedes that he and Slaughter did not, in 1997, envision the prospect of member governments rising up to attack the courts they had created (278). For her part, Alter had written as early as 2000 about the prospect of backlash against the ECJ from national courts, but as late as 2008 she insisted upon the “irrelevance of recontracting politics” by governments against ICs (48). In Transplanting International Courts, by contrast, both authors confront the new reality of member-state backlash. The past decade, they write, has witnessed a “slew of … deliberate and strategic challenges by political leaders to the formal powers and de facto authority of the courts and the judges who penned the offending decisions” (278). 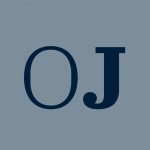 Even the largely deferential ATJ, they write, has prompted several defiant acts of noncompliance, and backlashes against other international courts have been far more dramatic. Backlash is a minor theme in Transplanting International Courts, but takes center stage in Alter and Helfer’s research with James Gathii on backlash against three African regional courts, which combines the authors’ newfound focus on backlash with their longstanding liberal focus on supranational and subnational interlocutors. Each of Alter, Gathii and Helfer’s meticulously researched case studies begins with one or more dissatisfied member states attempting to use “extra-legal” pressure to short-circuit formal institutional protections so as to remove judges from office, reduce a court’s jurisdiction, or shut down the court entirely. In the face of these attacks, however, Alter, Gathii and Helfer offer a surprisingly “glass-half-full” narrative, in which backlash efforts are at least partially “derailed” by secretariats, civil-society groups, and sub-regional parliaments who “delay or thwart extra-legal strategies, buying time and creating opportunities for court supporters to mobilize” (295). In the case of the South African Development Community Tribunal, they concede, Zimbabwe’s backlash campaign was fully successful, resulting in the indefinite suspension of the Tribunal. The authors depict the other two cases, however, as more hopeful, demonstrating how the Kenyan campaign against the East African Court of Justice (EACJ), as well as Gambia’s efforts to discipline the ECOWAS Court, were blunted to some extent by supranational and subnational supporters. There is, however, a strong case to be made for a more pessimistic interpretation of these events. Such an account would highlight the ability of dissatisfied member states to circumvent formal protections of international judicial independence, succeeding to varying extents in intimidating, constraining, and even eliminating ICs. Even the nominally mixed cases of the EACJ and ECOWAS are chilling, since the former saw its jurisdiction reduced and its rulings made appealable to a new and conservative appellate body, while the latter has been sent a strong signal of the limits of its independence. Just as importantly, the use of such strong-arm tactics against international courts is not restricted to the developing world, as we have seen in the Trump Administration’s hostage-taking approach to the WTO Appellate Body, which takes a page from Mugabe’s court-curbing playbook. Ultimately, as with Alter and Helfer’s analysis of the ATJ, these events can be seen from a glass-half-empty or a glass-half-full perspective. The glass-half-empty perspective suggests that international courts are more vulnerable to member-state pressure than many of us had expected, and that we must avoid complacency about the very real prospect that states will continue to intimidate international courts, reduce their jurisdiction, and suspend or eliminate them in response to unwelcome decisions. The glass-half-full approach, by contrast, focuses on the more hopeful possibility that strategic international courts may make common cause with supranational and subnational actors who can not only nurture those courts in their infancy but also defend them when times get tough. Whether these efforts will suffice to protect international courts’ independence, jurisdiction, and existence in an age of backlash, however, remains to be seen.